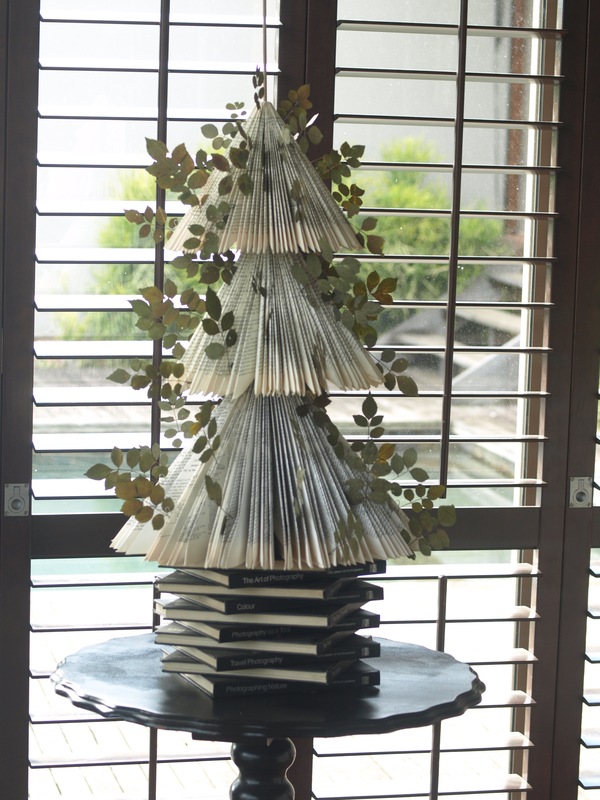 A simple book paper tree, with a low impact on the budget and the environment. 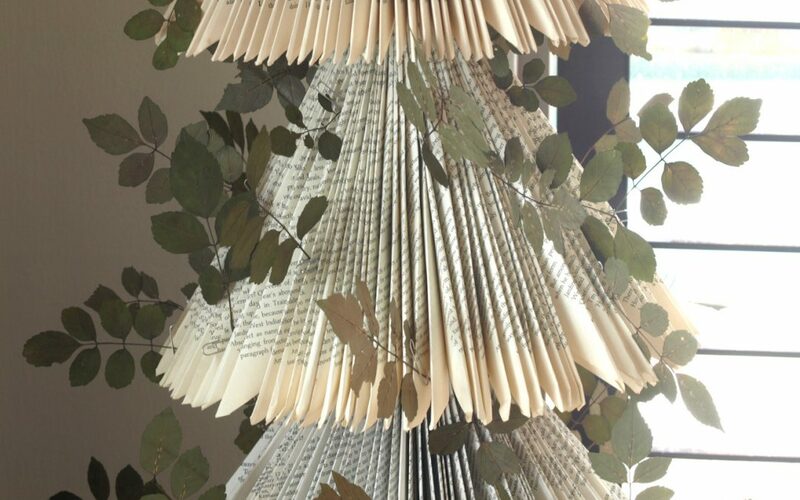 This genus is easy on the eye, and is recreated from 3 recycled books – (which originally came from trees themselves). This one has been decorated with pressed leaves from my garden. 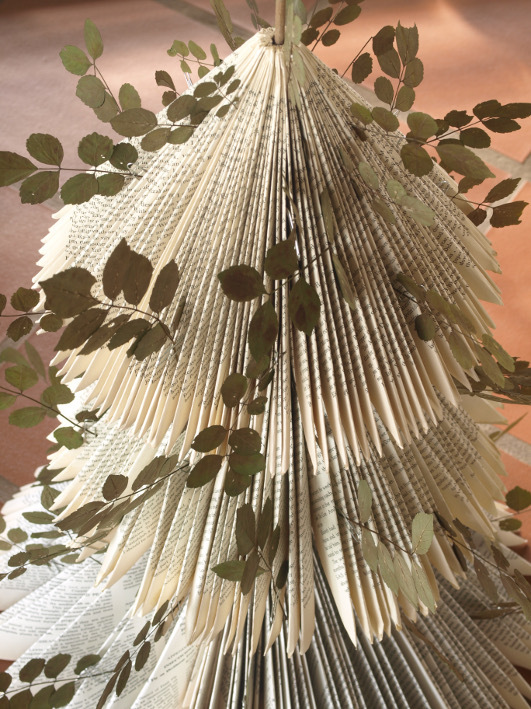 The flattened fauna was attached with gem clips, and lends an airy botanical feel to the tree. The tree can be decorated with all sorts of ornaments. Use mini wooden pegs to keep trinkets in place, or slide paper cards or decor in-between the pages. Created from books of various sizes and assembled in incremental size order. Books can be bought from your local charity. Speak to them about the ones that are not selling and are on their way to be pulped. I used Cape Honeysuckle leaves from my garden. I layered them between sheets of newspaper and pressed them in a pile of old books. Remember to use at least 3 or 4 sheets of newspaper between the leaves, so that the moisture is not absorbed into the book pages. Choose books that have flexible spines. Some books have thick stiff spines, and won’t bend into a lovely round. Remove the cover from each book. You will need between 120 to 150 pages to work with. Remember that book pages are numbered on both sides, so if your are using the page numbers as a guide, you will have to look for double the number. If the book has too many pages, use a craft knife along the spine of the book to cut the excess pages off.